Happy St Patrick’s day! Although it’s Friday and we all love the weekend, the weather is not instilling much confidence that spring is coming so a good old knees up is probably just what the doctor ordered. Knock off work early and go celebrate. But first…be entertained and informed with the latest digital marketing round up, and the ball is going to start rolling with an update from the Google Adwords Blog. We never lose sight of the fact that whether we are B2B or B2C, we are always selling to people and great marketing, digital or otherwise, is always about reaching the right people, connecting with them and encouraging them to buy our products and services. If what we do next delivers over and above their expectation then we should be on a winner. Click-to-call ad campaigns are a great way of doing that because the people we want to reach out to don’t always want to engage in an online way – they may want a voice on the phone – but for some businesses they are able to convert very easily on a phone call. That’s where Click-to-call ads come in useful, and Google has reported some key improvements that they say are in response to the feedback they have had from marketers like us. Improving call reporting so the parts of the campaign driving the most valuable calls can be easily identified. So what are the updates. Well, for starters, you can get your call-out extensions set up quicker and this is going to come as welcome news for those with lots of campaigns to manage. Account Level Call Extensions have just been rolled out, and these will allow you to set up your call-extensions at scale. Call-out extensions can be implemented across your entire account instead of having to add them to individual campaigns and ad groups. This will save a lot of time for busy marketers. Google are promising to roll out automated call extensions to more advertisers globally that will make the process quicker still. 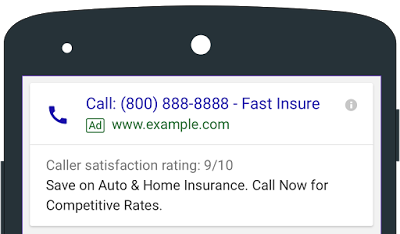 By identifying landing pages that already feature a prominent phone number, and automatically setting up a call extension and call reporting for this phone number, Adwords will be making it even easier to drive calls through to businesses. Recognising the importance of accurate and meaningful reporting for marketers to ensure what they are doing is achieving results that count, Adwords are “soon” going to be adding new call details to keyword and ad copy reports. By allowing marketers to see additional reporting columns such as “Phone impressions” and “Phone calls”, Adwords is giving further insight to inform us on how to improve performance. We may decide, for example, to use call-only ads on keywords with the highest phone-through rates. All in all, these updates spell good news for marketing efficiency and effectiveness. If you are using LinkedIn personally I am confident that you will have seen the moans and groans about the new Linkedin look just as much as I have. On the downside, the complaining seems to be aimed at changes to functionality that are making people who were paying for the Premium Service feel short changed. These changes go back to last year when Linkedin got rid of certain Premium subscribed features, including a range of important search parameters such as years of experience, function and seniority level. On top of that, there is also some discontent surrounding the general layout, usability and usefulness of the site. There has been a sense from some regular article publishers that Linkedin appears to be favouring posts on the feed more than articles, in terms of exposure, but this may just be a perception. Earlier this year, Linkedin also launched a new app. Personally, I think it is great. The previous one malfunctioned on my old android and eventually I had to uninstall it. Although, a lot of the feedback about the new one has been negative, sometimes people just like to have a moan, don’t they. 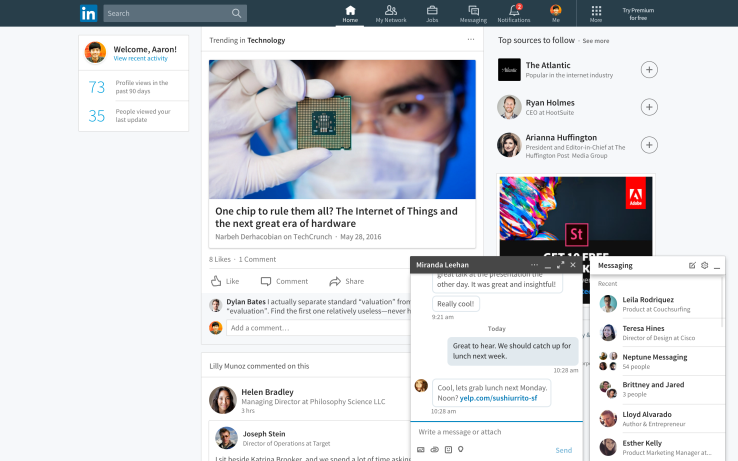 One benefit that people seem to be appreciating is that when messages are sent through the app’s messenger service, Linkedin now reports if the message has been read or not. It’s a straight leaf lifted from the book of FB, as is the little chat box that now shows in the bottom of the desktop and laptop version of Li, but I think it is a welcome change. 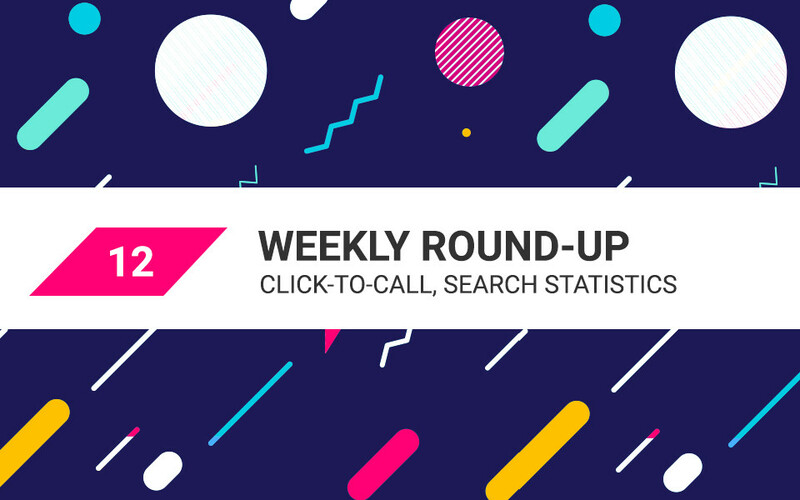 This week’s scouting around for interesting news and articles uncovered a wonderful article in Moz, aptly titled, “The State of Searcher Behavior Revealed Through 23 Remarkable Statistics”. This is a real Aladdin’s cave in useful information and, I dare say, a real eye opener for search specialists who probably thought that they knew everything that they needed to know. It is human nature to assume and you can’t beat facts and figures for revealing the real truth. The data in this case was collected from Jumpshot’s multi-million user panel in October 2016. Would you have guessed, for example, that out of all the millions of active web users in the US that were monitored by Jumpshot, only 15% performed at least one or more searches in a day? Only 45% performed at least one query in a week! The percentage that carried out a search in one month was still less than 70%. This is just one of the findings and reflects that there is still a lot that can be done to increase the use of search. Imagine the potential that is there. Another stat that may come as a shock relates to clicks on paid ads.Only 2.6% of all searches result in a click on an Adword.This only rises slightly to 3.4% for more distinct searches. There isn’t time for me to go through all twenty three weird, wonderful and useful facts but that is what the weekend’s for (isn’t it? ), and I would certainly recommend that take a peek. That’s all for this week’s round-up. I hope you have found the update useful and wish everyone a great weekend. Don’t forget, we have a helpful and versatile team of digital marketers here at MSA who are always on hand to boost your digital marketing efforts! It all starts by getting in touch.